Registration opens October 15 for the AAVMC’s 2019 Annual Conference at the Hyatt Regency Washington on Capitol Hill in Washington, D.C. Themed “The Science of Building Inclusive Teams,” the meeting will explore strategies and benefits from incorporating appropriate levels of diversity and inclusiveness in working groups and teams. This year’s meeting also includes the biennial Iverson Bell Symposium. The AAVMC’s annual conference is considered one of the leading professional development events in international academic veterinary medicine. Hundreds of leading educators and leaders from the veterinary medical profession are expected to gather for the three-day forum. The AAVMC’s annual complement of recognition awards for professional excellence and service will be presented. Major AAVMC operating committees will also hold meetings during the event. The AAVMC Board of Directors will meet on March 6, 2019. The AAVMC will present its annual Advocacy Summit, where leaders share information concerning the contributions and the needs of academic veterinary medicine on Capitol Hill, on Thursday, March 8. The AAVMC’s annual Veterinary Medical Career Fair will be presented on Sunday, March 10. Located just steps from the U.S. Capitol building, the Hyatt Regency Washington on Capitol Hill offers easy access to some of the popular Washington D.C. locations. Please stay tuned to the website for registration information and early registration incentives. Demand for admission to AAVMC member institutions through the Veterinary Medical College Application Service (VMCAS) is growing, according to preliminary data gathered at the conclusion of the 2018 VMCAS cycle. A total of 8,151 individuals applied to attend veterinary medical college through VMCAS this cycle, which represents a seven percent increase over last year. The number of applicants increased about six percent year over year during the preceding two admissions cycles. The total number of applications submitted was 40,522, which represents about a 10 percent increase over last year. Each applicant applied to about five institutions. Hurricane Florence caused the Admissions & Recruitment Committee to slightly extend the application deadline this year. On September 14, a communication was issued to all applicants that moved the deadline to September 21. That decision was made because emergency conditions in the Mid-Atlantic states forced some applicants to evacuate their homes and/or manage without electricity and basic utilities. Some colleges and universities were closed, which impacted the delivery of official transcripts and other important application components. While the data will not be finalized until later in October, Wynne believes the final numbers will not be significantly different. Senior representatives from the AAVMC and the Association of Public and Land-grant Universities (APLU) recently met with Iowa State University officials and others in Ames to discuss the development of the new National Institute of Antimicrobial Resistance Research and Education (NIAMRRE). The institute was established at Iowa State University as the result of a joint Task Force on Antibiotic Resistance in Production Agriculture that AAVMC and APLU created in 2014. The group released a report the following year that offered an array of research and education recommendations designed to address the problem. The institute is led by Executive Director Dr. Paul Plummer. Over 100 research faculty with expertise in a variety of scientific disciplines from multiple academic institutions are allied with the effort. Iowa State is partnering with the University of Nebraska-Lincoln, the University of Nebraska Medical Center, the University of Iowa, and the Mayo Medical Clinic. The institute is also partnering with two major USDA Agricultural Research Service (ARS) facilities, as well as a collection of agricultural stakeholders representing over one-fourth of the U.S. swine and beef industry. Click here to examine a communication which presents more information regarding the initiative. The Clinical and Translational Science Award (CTSA) One Health Alliance (COHA) is growing and helping to galvanize the practical application of medical advancements and discoveries using a collaborative, One Health approach, said COHA Chair Dr. Deborah Kochevar. Kochevar is currently Tufts University’s Provost and Senior Vice President ad interim, and the former Henry and Lois Foster Professor and Dean of the Cummings School of Veterinary Medicine. In the past decade, she’s seen veterinary school affiliations with CTSA-funded medical schools expand from less than a handful to a national network of 15 schools. COHA was established in 2014 and member schools partner with human medical schools and other colleagues on their respective campuses to conduct translational research, a process by which clinical discoveries translate into applicable tools and techniques that improve health outcomes. The National Center for Advancing Translational Science (NCATS) at the National Institutes of Health (NIH) award CTSA grants to support translational research and, more and more, veterinary medical schools are being included in CTSA award applications that adopt a multi-disciplinary, One Health approach, Kochevar said. The AAVMC is also working to increase awareness of these partnerships through meetings with principal investigators at NIH who are learning about the value of One Health. 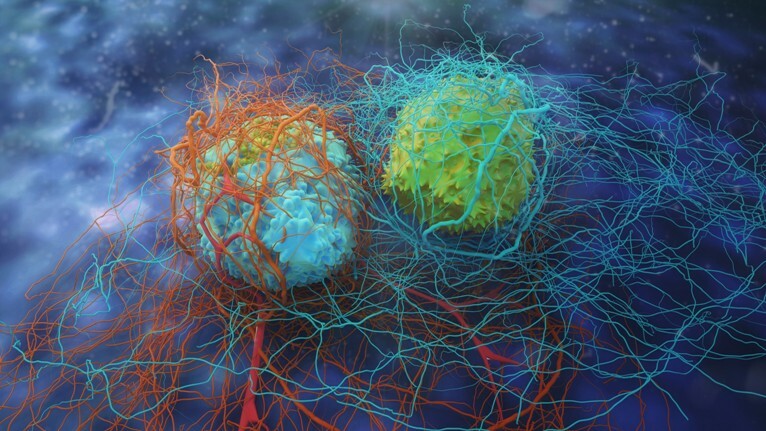 After three rounds of pilot grants, “Institutions have done some amazing things,” said Kochevar, including working together to promote best practices for clinical trials and biobanking, and creating data connectivity platforms that facilitate multi-institutional studies and harness the power of electronic medical records. Other pilot grants have funded clinical translational summits with physician colleagues and sponsored innovative national events for medical and veterinary students to explore One Health together. Faculty and administrators from COHA schools currently convene quarterly calls open to all members and work together to address operational needs of the alliance with governance by COHA deans. This structure will evolve with the establishment in 2019 of a steering committee composed of institutional representatives with secondary oversight from the deans. COHA assists veterinary schools seeking CTSA partnerships with institutions in their states and hopes the alliance will continue to expand as One Health opportunities grow. Visit the COHA website to learn more about programs and events underway at the 15 COHA institutions. Zoetis and the AAVMC are again partnering on the annual Zoetis Veterinary Student Scholarship Award program. The deadline for applications is November 28, 2018. Click here for detailed application information. The program provides $2,000 scholarships for second- and third-year veterinary students enrolled at colleges and schools in the United States and Caribbean. The scholarships are awarded based on academic excellence, financial need, diversity, sustainability, leadership and career interest. Scholarships are available to students in all areas of professional interest, including food animal medicine, small animal clinical medicine, research, government services, public health, and organized veterinary medicine. Now in its 10th year, the Zoetis Veterinary Scholarship program has awarded over 3,000 scholarships totaling over $6 million. Winners will be announced during the 2019 SAVMA Symposium at the University of Georgia March 9-11, 2019. 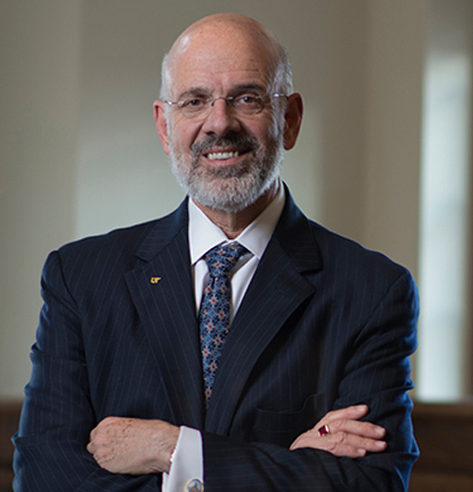 Dr. Joe DiPietro, who served as dean of the University of Florida College of Veterinary Medicine prior to rising to the position of President of the University of Tennessee System, has announced he will retire from the UT position February 14, 2019. "I am very proud of all we have accomplished together, which would not have been possible without the important efforts of our talented faculty, students, staff and administrators and the steadfast support of the Board of Trustees,” DiPietro said in a University of Tennessee news release. In the position, DiPietro had served as CEO of all three of UT’s three campuses, the Health Science Center, the Institute of Public Service and the Institute of Agriculture. DiPietro is a veterinary pathologist. Despite the demands of his Tennessee duties, he frequently made time to participate as a speaker in the AAVMC Leadership Academy. The new “Joe and Deb DiPietro Endowment for Leadership Development” has been established at the University of Tennessee in his honor. That program will assist University of Tennessee employees who are interested in developing their leadership skills. Only one other former veterinary college dean is known to have risen to service as a statewide university system leader. Dr. William L. Jenkins served as President of the Louisiana State University system from 1999-2007. The U.S. Department of Education’s (USDE) National Advisory Committee for Institutional Quality and Integrity (NACIQI) has begun its periodic review of the Council on Education’s (COE) performance as the official accrediting agency for professional veterinary medical programs. A public hearing to provide interested individuals with an opportunity to provide oral comments will be held in the Washington, D.C. area on February 5, 2019. Additional information about registering for that event will be available in the future from the Federal Register. In response to input from the public and members of the veterinary medical community, the COE has made substantial changes in its policies and procedures in recent years. Some of those changes include how COE members are appointed and supported by the AVMA and the AAVMC, and how site visits are conducted. Changes in Accreditation Standards, such as those pertaining to diversity, student wellness, and financial/debt management, have also been made by the COE in recent years. A five- and half-minute video featuring comments from more than a dozen students was presented during the annual Banfield Pet Healthcare Industry Summit held in Portland in August. Titled “How Can We Help the Helpers,” the video features students discussing their “hopes, dreams, and fears,” as they journey toward a career in veterinary medicine. Students discuss why they chose to pursue veterinary medicine, what they hope to achieve, the importance of mentors, concerns about educational debt and income and other topics. “The field is sort of at a turning point where we’re also bringing in more people than we ever have before from various backgrounds and I just want us to make sure that we keep growing and that we keep changing with the times in a proper and appropriate manner,” observes one student during the presentation. Comments were extracted from interviews with more than 20 different students to compile the video. Click here to view it. Potential candidates interested in serving in a variety of senior leadership positions with the AAVMC are invited to consider the following opportunities for the 2019-2020 cycle. The call for nominations is active from October 22 – November 19, 2018. Candidates for all positions, except the At-Large Director Representing Departments of Comparative Medicine, must be a sitting dean or equivalent. Upon the conclusion of the nomination period, the Governance Committee, the Board of Directors, and ultimately the Assembly, will consider the slate of candidates from November 20 through January 27, 2019. Review and evaluation will ensure the proper representation of the membership and seek to enhance the diversity of the board. The election period will run from Jan. 28 through Feb. 1, 2019, and the current AAVMC President will send the results of the election to the Assembly. Terms of service for the new slate of officers will begin on March 8, 2019, following the conclusion of the Annual Business Meeting of the Assembly. Please direct any inquiries or questions about the election process to Chief Operating Officer Dotty Gray at dgray@aavmc.org. The nomination cycle for 2018-19 AAVMC Professional Excellence Awards closes October 15, 2018. The AAVMC annually presents a series of awards designed to inspire and recognize professional excellence and service. Awards to be presented during the March 2019 annual meeting include the Distinguished Veterinary Teacher Award, Presented by Zoetis; the Iverson Bell Award; the Excellence in Research Award; the Patricia Lowrie Diversity Leadership Scholarship; the Senator John Melcher, DVM Leadership in Public Policy Award; and the Billy E. Hooper Award for Distinguished Service. For more information, please see our awards page here or contact Mrs. Lawann V. Blunt at 202-371-9195 (ext.152) or lsmith@aavmc.org. The nomination/application period for the 2019 Public Health Excellence in Interprofessional Education Collaboration Award is open through February 1, 2019. This is the third year that the United States Public Health Service (USPHS) and the InterProfessional Education Collaborative (IPEC) have partnered on the program. The AAVMC is a member of the IPEC. The National Awardee will be selected and honored during the Summer 2019 IPEC Council Meeting scheduled for June in Washington, D.C. The winner will receive a $2,000 travel stipend to attend the council meeting, and a webinar series or continuing education publication will be developed from selected project/topic areas. Honorable Mention awards will also be available in several areas. Additional information is available from Shelley McKearney at smckearney@aacnnursing.org or 202-463-6930 ext. 269. Birgit Puschner from UC Davis became Dean of the Michigan State University College of Veterinary Medicine on September 5, 2018. Dan Grooms from Michigan State University became the new Dean at the Iowa State University College of Veterinary Medicine, replacing Interim Dean Pat Halbur on October 1. Associate Dean of Research Srirama Rao of the University of Minnesota College of Veterinary Medicine joined Virginia Commonwealth University as Vice President for Research and Innovation on October 1.